Maybe I'm not the best there is, but I'm pretty damned close. The Marvel Legends X-23 Laura Kinney X-Force uniform action figure is a definite must have for any X-Force fan and one of the nicest Marvel Legends figures we've seen in some time. It's actually a wonder why she's turned into a peg-warmer. 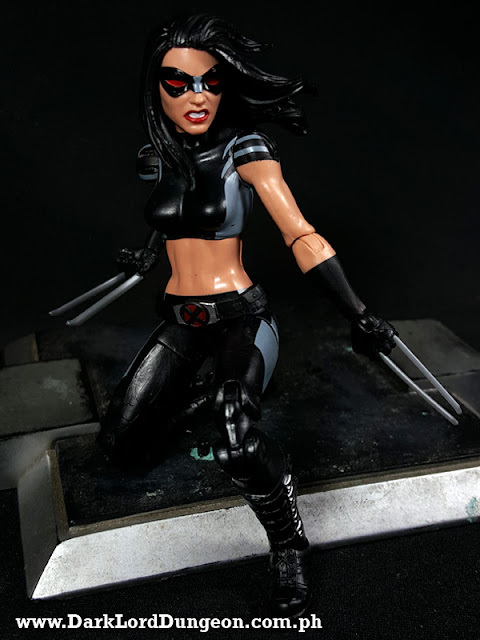 Laura Kinney: We never did like her as Wolverine. We personally saw that as a weird gimmik by Marvel to make all of Marvel's main characters princesses or minorities. Well it looks like the experiment is at an end. Thor is dead and the mantle has been foreshadowed to return to the Odinson; Falcon has returned the shield to Captain America (Shame considering there was another shield available for his use), and; THE Wolverine is back. When Wolverine returns to claim his mantle, we wonder if Laura will revert to X-23 or will there be Old-Man Logan, Wolverine, Female Wolverine and James Hudson? 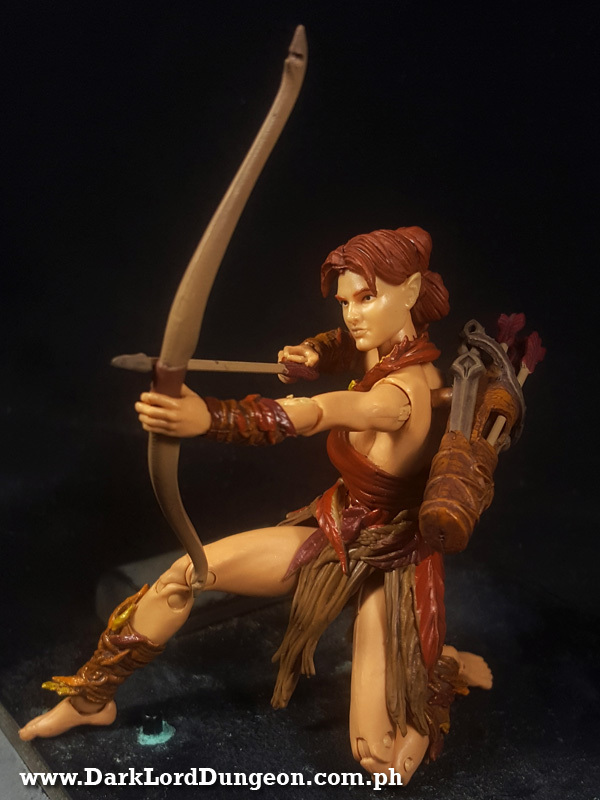 With the drought brought by the lack of new GI Joe toys, the Vitrivian HACKS Aiyana Elven Archer is a refreshing albeit small, glass of water. We've been seeing the Vitruvian HACKS (Highly Articulated Character Kit System) around hobby stores in Metro Manila for quite some time and have thought of them for customization projects for G.I. Joes. However they were quite pricey to be discarded just like that so we never got them. 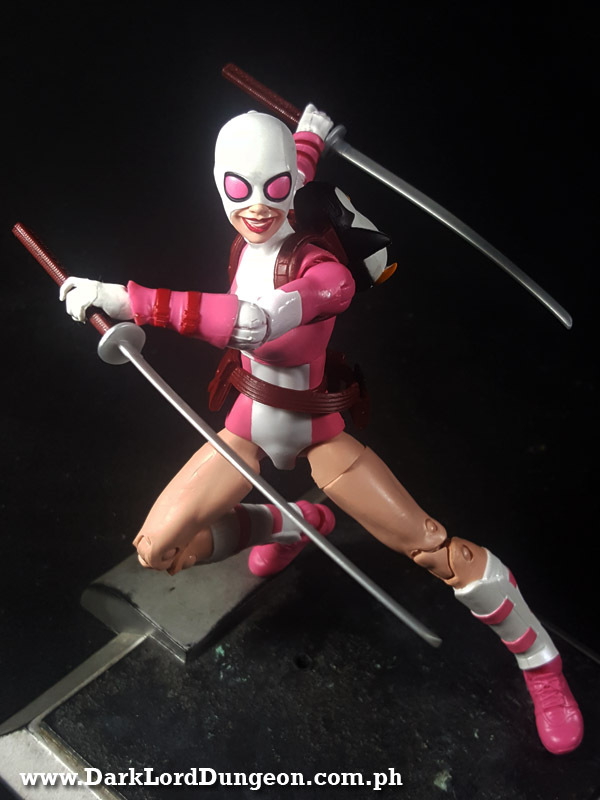 This particular Aiyana was borrowed from a fellow collector who asked for help with an issue that we'll discuss later. Welcome back to super hero world, Gwen! Hope you survive the experience! As far as incarnations of one of Marvel's most... twisted... characters, the Marvel Legends Gwenpool figure is pretty decent adaptation. But we're pretty sure it could be better. We're not really fans of Gwenpool and she hasn't really entered into any of the comic books we read. What we do know is that she started out as a promotional effort for Spider-Gwen. Because Spider-Gwen was so popular, Marvel decided to release comic cover variants of Spider-Gwen imagined as different characters like Wolverine, Dr Strange and.... Deadpool.